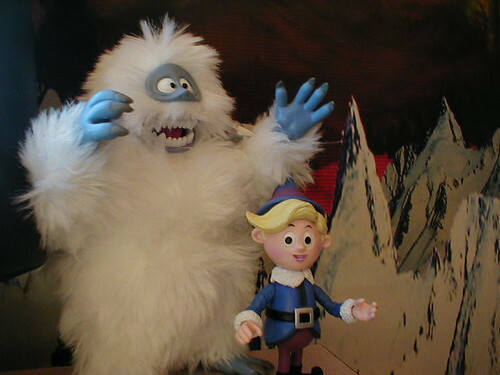 I searched for years to find the "Bumble" figure and I finally scored it at KB Toys (RIP!) a few years back… For 4.88! And for that, KB Toys will forever be in my gratitude. Is it the giant 12" one? I got mine off eBay, and he's one of my favorite Christmas toys, along with the Winter Warlock and the Twisted Xmas Snowman. Do you know what wootam used as the mountain background Poe? The caption says it was a Radiohead poster. I didn't look closely enough at it the first time, but I was gonna say, that background looks strangely enough like artwork from Kid-A. Nah just the 7 inch or whatever, but considering he was hard to find too, I was content. I've seen the 12 inch but only the "Humbled" Bumble and I want the non Iron Sheik raped version.